Under the registration form look for the tab ONLINE FORMS on the right side. Click that tab. You will then see a tab that says “Bring a friend discount.” Click on that! See below for a screen shot # 2. The money will be discounted off your registration AFTER the new camper has been registered. The camper has to be at least registered (not necessarily paid). If you have already paid and get a new camper, then you will be re-funded the money. 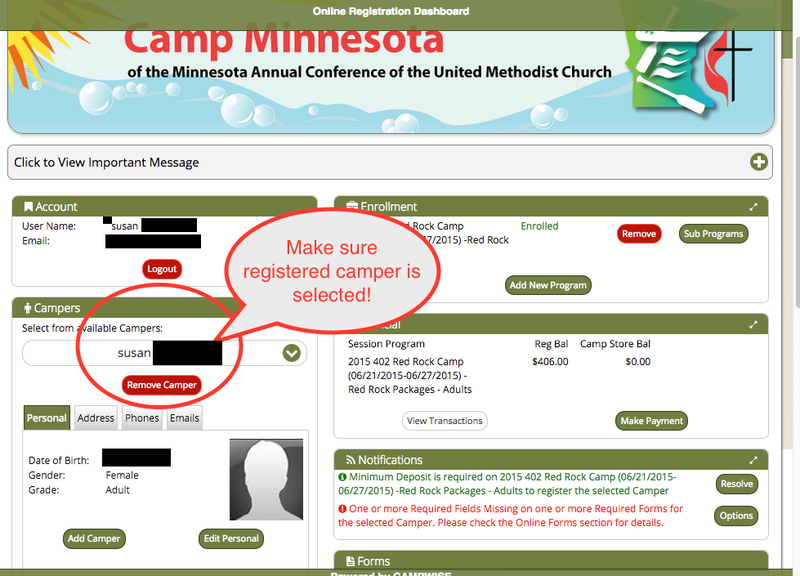 If you want the $25.00 to go to someone else simply call CAMP MN and they will change it. Yep it can even go towards the new camper! If you are filling out a paper registration form, please attach a note to that form that says the new camper’s name and that you are requesting the camper discount. 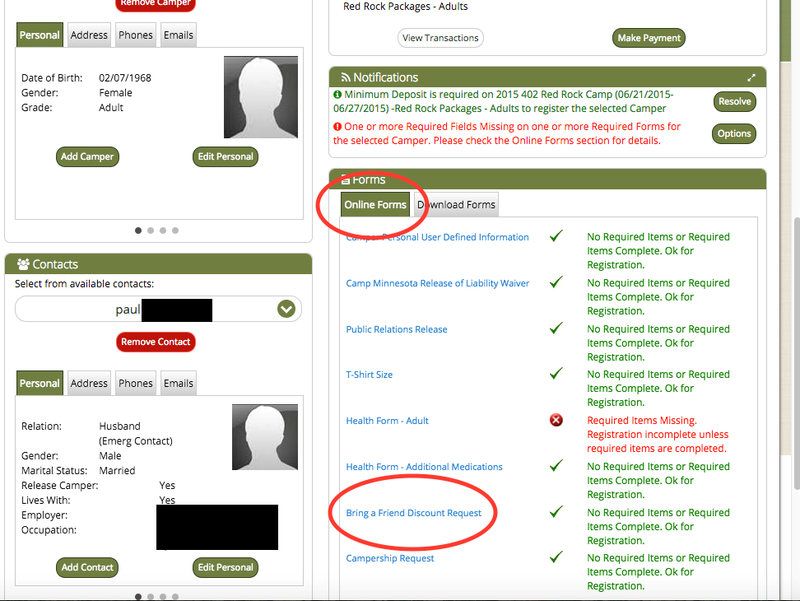 The new camper can NOT have attended any Camp MN camp in the last 3 years to qualify. There is no official cap, but it does say on the website that it can’t exceed event registration cost.